John Halamka has never been afraid of taking risks and has never been adverse to change. In fact, he seems to thrive on both, particularly if it can help coerce the healthcare industry out of the Stone Age. Beth Israel Deaconess was one of the first adopters of EHRs and electronic prescribing, and was piloting Google Glass before most knew what it was. 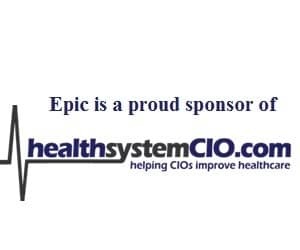 And so it shouldn’t have been surprising when a deal was announced that athenahealth would purchase webOMR, BIDMC’s homegrown EHR, and the Boston-based academic medical center would implement some of athena’s solutions. Still, the news made headlines. We recently spoke with Dr. Halamka about the partnership, delving into why his organization agreed to the deal, what it means for both organizations, and how he hopes it will transform the industry. It’s a nice combination of rapid acceleration of their product line and seeing our efforts now spread more widely across the country. One of our missions is spreading the learning, and then making sure that it’s tested with real clinicians in a real environment and improved before it is sold as a product. It’s really the know-how that is being redeveloped in athena’s own platform and then made available as a service. The fact that they’re taking our know-how and then they’re making it available on their own platform, I think, makes it likely to succeed. What you hope is that today we’ll continue to self-develop, and tomorrow, if we buy services from the others, that’s okay and we can mix and match them as we please. That’s the direction. The fact that 80 percent of all the Beth Israel Deaconess website hits are from mobile devices tells you that patients have already moved to mobile, and the doctors all have iPads. So mobile is where we have to be. Gamble: Hi Dr. Halamka, thanks so much for taking the time to speak with me today. Halamka: Happy to do so. Gamble: So it’s not really a mystery as to what I want to talk about; we just had the big announcement that athenahealth is purchasing Beth Israel’s webOMR platform. This is big news, so I let’s talk about some of the e of the biggest parts of the deal. What’s most important from your perspective? Halamka: Absolutely. Four months ago, athenahealth approached me and said that athenahealth — a cloud-hosted services provider — would like to expand its product line and their choice was to build or buy. And if they could find the right collaborator, they might be able to get to market more rapidly, because there would be great domain knowledge in that collaborator. WebOMR has been developed by a team of 25 folks at Beth Israel Deaconess. It’s a certified inpatient and outpatient record, both stage 1 and stage 2. We have had doctors building software for doctors, nurses for nurses, pharmacists for pharmacists with rapid cycle improvement, so that you write software, you put it in the hands of the users, you discover what works or what doesn’t, and then you revise rapidly. Hundreds and hundreds of person-years of workflow and algorithms are built into the application and allow for usability. If a doctor is creating software for a doctor, chances are you’re going to have a minimum number of clicks and screens that are uncrowded and navigation that’s pretty clear. And in fact, we don’t have a training manual. Typically we’ll sign a doctor up in the morning and have them in production by the afternoon. That’s the nature of this cloud-hosted, web-based software. They said, we are going to license your intellectual property, which includes the code, the know-how, the algorithms, the business logic, and the user interface, but we’d also like help understanding the codes, so they want five of my top people one day a week for the next two years to help them understand the code. And then in the spirit of rapid cycle improvement, they want a place to alpha-test whatever new features and products they develop. The idea would be that in a community hospital setting, 29-bed inpatient ward at Beth Israel Deaconess-Needham, we will test in production the new software that athenahealth creates based on our intellectual property. And then it will be, I’m sure, rapidly revised and enhanced before releasing it to the marketplace. It’s a nice combination of rapid acceleration of their product line and seeing our efforts now spread more widely across the country. We are an academic medical center, so one of our missions is spreading the learning, and then making sure that it’s tested with real clinicians in a real environment and improved before it is sold as a product. And we have no specific requirements to use athenahealth products. We certainly hope that the athenahealth products are good enough and we may use them in our settings, but as I posted in my blog, over the next couple of years, as everyone we hope migrates to software as a service, thin-client, web and mobile, that the best man — the best company — will win, and we will go with the best quality at the lowest price. Gamble: I don’t imagine this is the first time Beth Israel was ever approached. What was it about this particular situation that seemed like a good fit? Halamka: Beth Israel since 1998 — yes, I’ve been there almost 20 years—has been a web-centric kind of place; a cloud-hosted kind of place. And we didn’t even called it a cloud at the beginning. We called it multi-tenancy remote hosting. And so our DNA, one of innovation but with a cloud and mobile focus, is much aligned with Athena’s approach. It seemed like you had two organizations with common goals and common philosophy, so a collaboration would be successful. I think this collaboration is different than other collaborations that have been done with academic medical centers in the past. Sometimes in the past, there’s been the idea of co-development, or ‘we’ll take code that was developed for one place and then host it and make it available to other places.’ In this case, it’s really the know-how that is being redeveloped in athena’s own platform and then made available as a service. The fact that they’re taking our know-how and then they’re making it available on their own platform, I think, makes it likely to succeed. Gamble: Right. And as far as the use of webOMR at Beth Israel, how can you ensure that it won’t be affected? I’m sure that’s a concern that’s been raised. Halamka: We have a 20-year license backed to the technology, and so that means we can keep running what we’re running and keep innovating as we’re innovating for 20 years, or if a cloud-hosted service that’s good enough becomes available in the market, we can move to it. It’s truly our choice. So there’s no forced march to do anything for 20 years. Gamble: Right. Now, having this in-house, homegrown system for so long, I just wanted to get some of your thoughts on that. Obviously one of the big advantages, like you said, is the rapid cycle improvement, and so is it something where this has been the strategy and it’s never really been your thought to go with something else? Halamka: We want to be agile. We want to be able to innovate. So when Google comes up with two Google Glass, we’ll be the first site in America to use it in healthcare. Or when Apple comes up with HealthKit, we’ll be one of the first sites to measure patient telemetry through HealthKit. The advantage is being able to control the platform as there’s no waiting. There’s no barriers to innovation or adaption. And so what we hope is even if in the future we move to a commercial cloud offering, that it will be a modular, flexible platform, so that the innovation that we do today would continue. This Argonaut initiative that a number of folks have been involved in of creating these new interoperability standards around FHIR (Fast Healthcare Interoperability Resources) are really also focused on making sure that in the future we’ll have an app store for health, and that you can mix and match various types of functions. What you hope is that today we’ll continue to self-develop, and tomorrow, if we buy services from the others, that’s okay and we can mix and match them as we please. That’s the direction. Gamble: Are you surprised that every organization isn’t using cloud-based products at this point? Halamka: In Boston, I have an interesting challenge. There’s this belief that mergers and acquisitions are good; that healthcare gets better by getting bigger. So as the CIO, I’m told, ‘We’re buying a new hospital. In six weeks, can you have that IT running for them?’ Or, ‘We just bought a two-doctor practice and tomorrow they need a new EHR.’ If you have a traditional model of buying servers and licenses and implementation, you can’t be agile enough to deliver in healthcare IT in weeks. It takes months or years. And so at least what I am being handed as supply and demand in Boston really necessitates a cloud-based approach. Gamble: Just as far as this particular deal and the emphasis on sharing knowledge, is this something that you’re hoping almost like sets an example or just encourages that more? Because it is something that everybody is hoping to see more of in the industry? And just so you know, we get no royalties. None of our fate is influenced by whether Athena succeeds or fails. I’m not trying to sell you anything here. It’s exactly as you say; it’s more of the academic pursuit of, I believe the cloud and mobile. I believe the idea of having a subscription-based service you can turn off and on is good. And I hope it succeeds using the intellectual property of Beth Israel Deaconess. Gamble: Okay. And then finally, I wanted to talk about — and maybe this is something that speaks also to the culture of being an academic — just having the willingness to challenge the status quo. How critical is that right now in this industry? Halamka: I’m a very strong believer in social networking concepts, and the fact that 80 percent of all the Beth Israel Deaconess website hits are from mobile devices tells you that patients have already moved to mobile, and the doctors all have iPads. So mobile is where we have to be — and with analytics and unique visualizations to drive quality and reduce costs. We all know that’s where CMS wants us to be. And the idea of getting out of the infrastructure business and turning on and off services in agile way is what Google, Facebook, Amazon and Apple have done — it’s worked for every other industry! So adopting those technologies, that stack, seems something like healthcare should be moving to a little faster. And if in any way we can help motivate that transition, we’re honored to be a part of it. Gamble: I think that’s all I have for now, but thank you so much for the information and for taking the time to speak to us. This is very exciting. Halamka: And you should know that I get no personal benefit from this of any kind. Anthony [Guerra] knows I try to be Geneva here; I try to make sure that I’m a convener. I don’t want anyone to believe I now have sold my soul or I am now tied to the future of a commercial product. It’s a very independent transaction and no one person or department gets any benefit. Gamble: Right. Hopefully the public will benefit. Halamka: Exactly. You got it. Gamble: All right, and thanks as always for taking the time to speak with us. We appreciate it. Halamka: Right. You have a wonderful day.